Executive member of caabu and chair of the liberal democrats friends of Palestine. Kathleen and Bill Christison write on Palestinian issues and on U.S. foreign policy, and they travel regularly to Palestine. They are former CIA political analysts. Bill Christison was a senior official of the CIA. 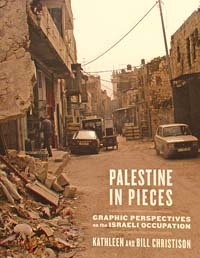 Kathleen Christison is the author of Perceptions of Palestine: Their influence on U.S. Policy and The Wound of Dispossession: Telling the Palestinian Story. They live in Santa Fe, New Mexico. refreshments provided | free entrance | limited places | booking essential!